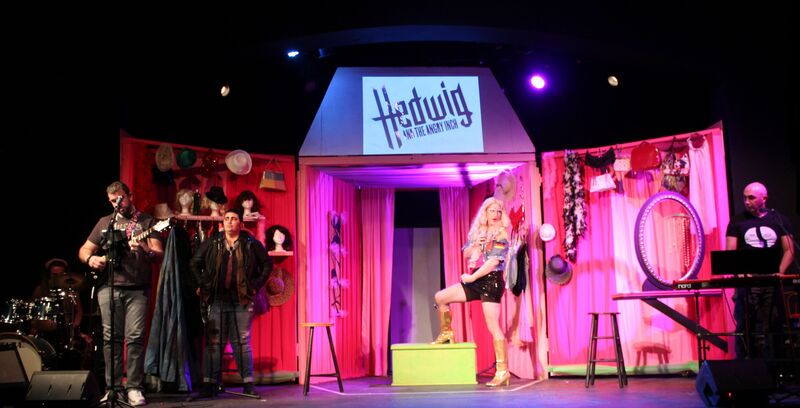 Continuing Thursday through Sunday at Lab Theater is John Cameron Mitchell and Stephen Trask’s hard-driving glam-punk rock tour de force Hedwig and the Angry Inch. In a word, PJ McCready is spectacular. He has pipes particularly suited Trask’s thrashing, unexpectedly touching songs. 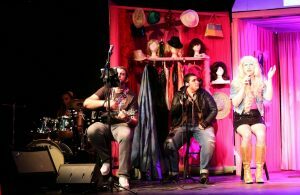 But every singer needs an equally capable band, and Director Paul Graffy and Musical Director Julian Sundby struck pay dirt with lead guitarist Lee Blackston, bass guitarist Greg LaMastro, keyboardist Andrea Roccella and percussionist Israel “Izzy” Zakar Coover. This fearsome foursome has the moxie to project the music’s danger and fury. Their performance invites comparison to the Spiders from Mars who backed up David Bowie’s androgynous bisexual alter ego, Ziggy Stardust. 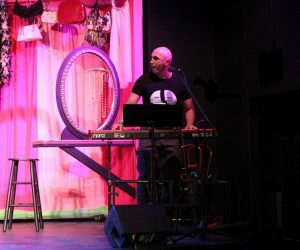 Mitchell’s book and Trask’s score incorporate the band into the show, giving each musician a name. Blackston’s character is the vowel-less Skszp. Mitchell hails from Manchester, England, where he honed his craft before moving to the United States. He has played numerous instruments in various bands. His theater credits are impressive. 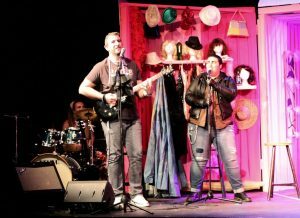 They include How to Succeed in Business Without Really Trying, Little Shop of Horrors, Nunsense, The Rocky Horror Show, Godspell and Tony and Tina’s Wedding. 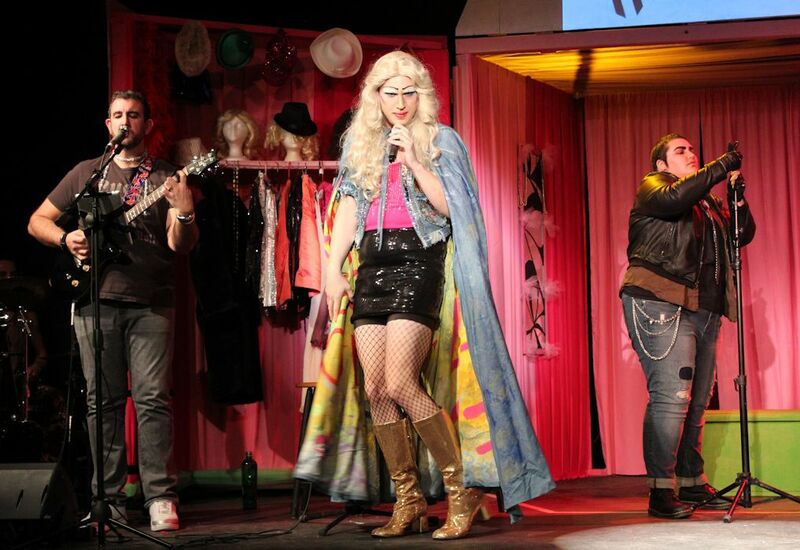 But his familiarity with Hedwig transcends this production as Blackston has been in two previous Hedwig productions. If you’d like to hear more from this hard-rocking lead guitarist, check around. He plays in bands around Southwest Florida. 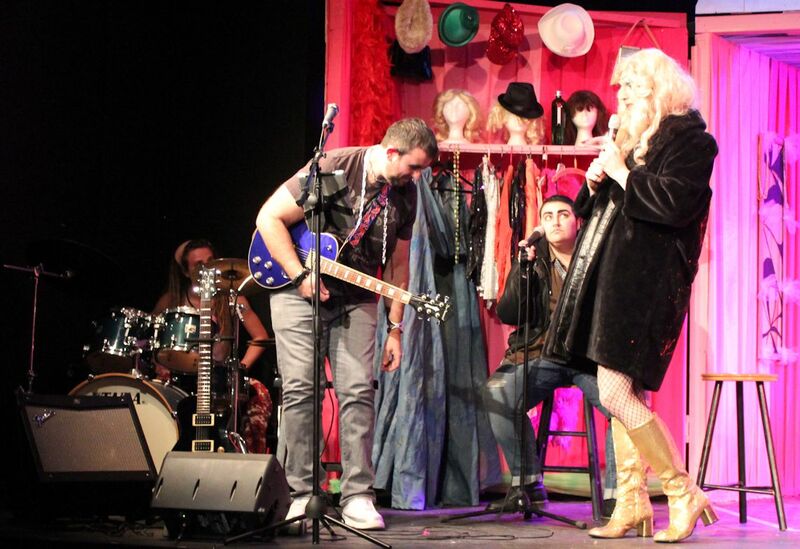 The Angry Inch’s bass guitarist is Jacek, played by Greg LaMastro. Greg is a native of Long Island (NY). He attended Berklee College of Music. LaMastro has more than 30 years of experience playing, recording, engineering and producing music in many genres. 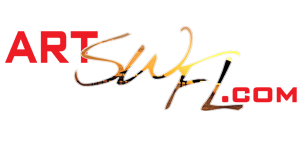 He is currently lead instructor at Guitar Center in Fort Myers. 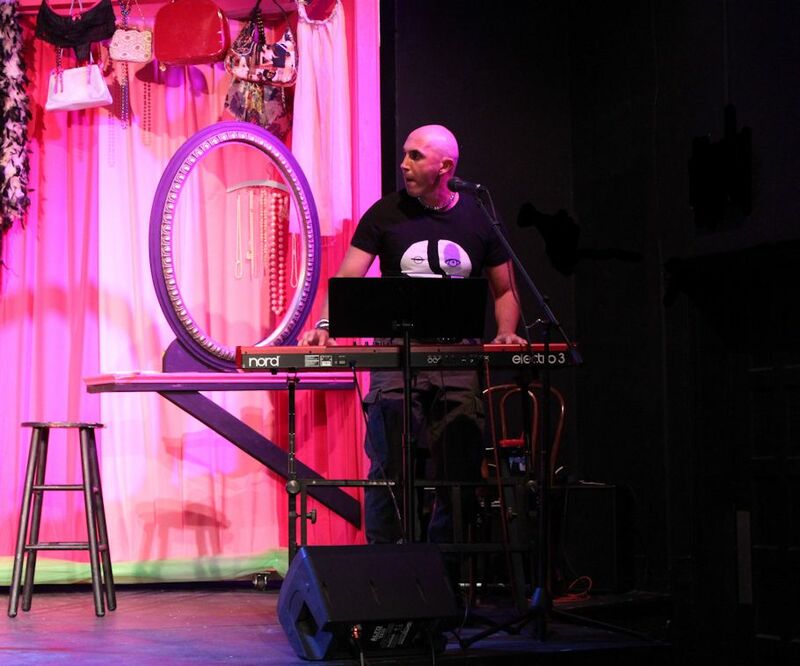 The Angry Inch’s keyboardist is Krzyzhtoff, played by Andrea Roccella, who has been working in theater for more than two decades as a performer, director and writer. 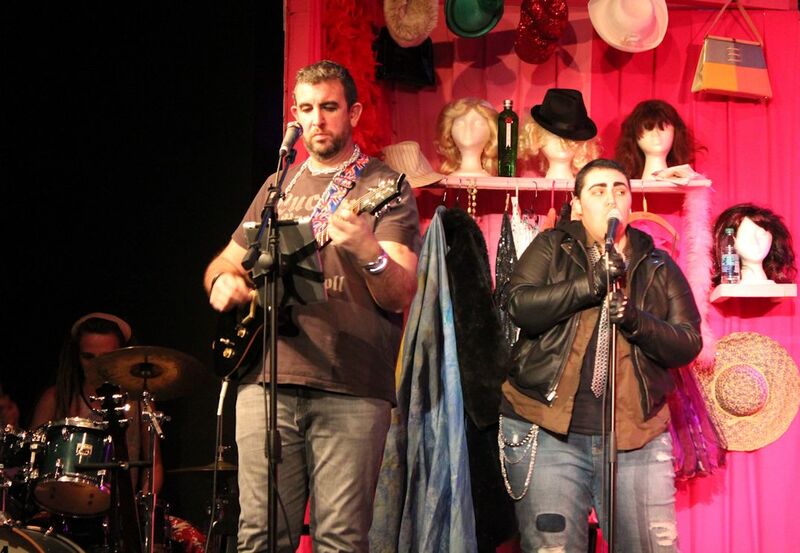 Buried behind lead guitarist Zkszp, almost in the wings stage right, is Schlatko, played by Izzy Zakar Coover. Equally vowel-challenged, Zkszp is the recipient of numerous gripes and snipes from Hedwig for (invariably) being late with the Vaudevillian snare drum ta-dums when Hedwig cracks a lame joke. 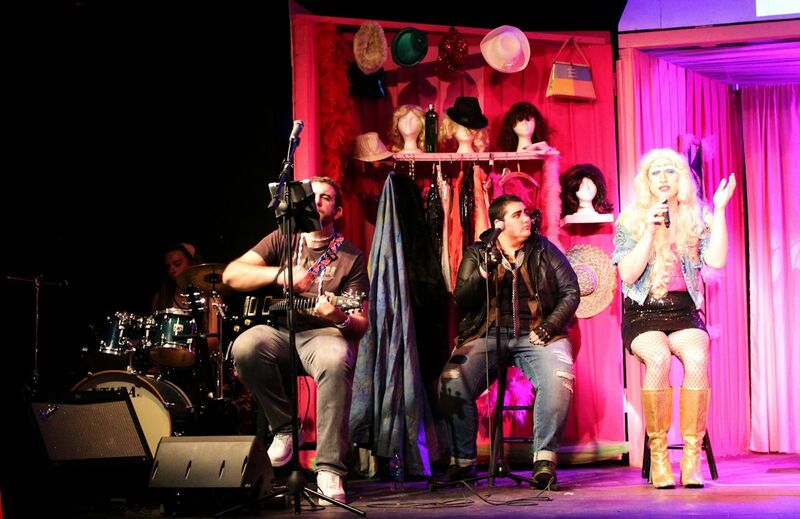 In real life, Izzy expresses himself through writing and performing music. 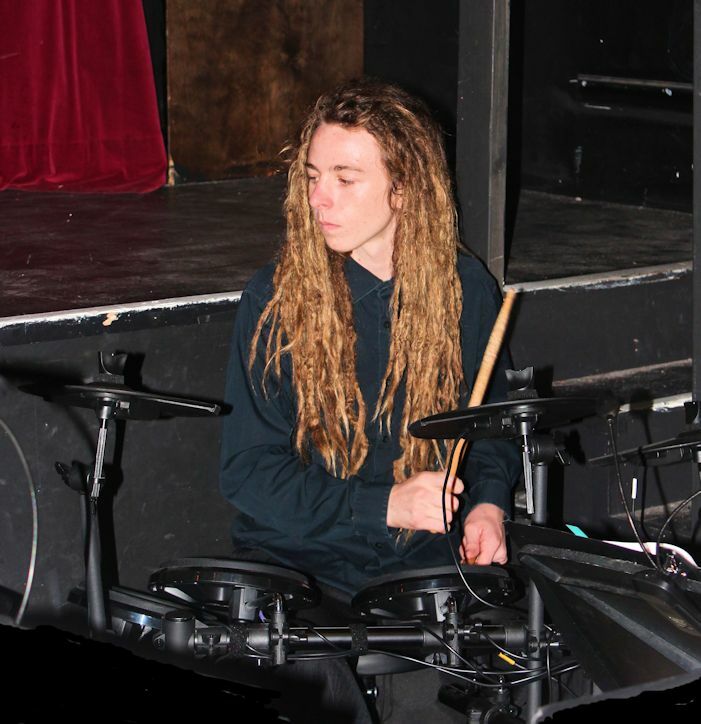 He invests his time playing percussion, principally drum set, in drum line, jazz band and other ensembles at Fort Myers High School. 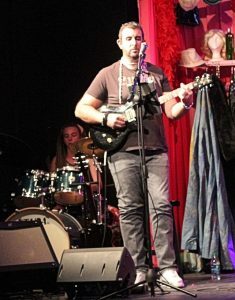 Coover is passionate about writing original music with CUP (progressive metal) and Gage and the Junkies (reggae to alternative rock). He also dabbles in singing and bass guitar, avidly writes poetry and studies both philosophy and theology (of which he Kant get enough). 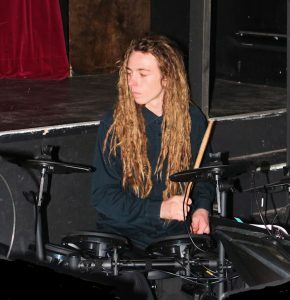 He was heard on drums previously at the Alliance Youth Theatre in Calvin Berger. Israel aspires to put on shows that fuse the multiple facets of art, music, theater, visual arts and dance in order to create a space that resonate with others in the same way that human expression has resonated with him. 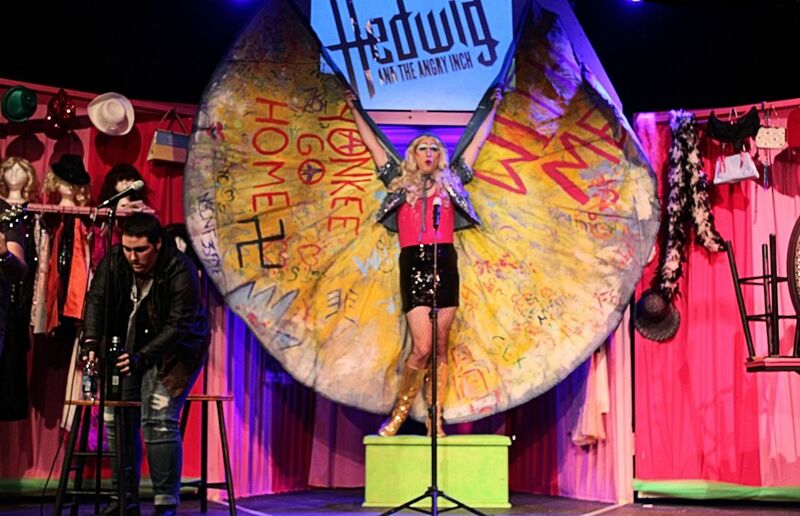 Individually talented, as a group Blackston, LaMastro, Roccella and Coover are not just a perfect complement to PJ McCready’s rendition of Hedwig, but the perfect instrument to give voice to John Cameron Mitchell and Stephen Trask’s Obie-winning full throated transgender tragedy, Hedwig and the Angry Inch.